The first day of Spring (on the calendar) was on March 20th, but most of the valley still looks like Winter! We had several warm days at the end of March, which began melting the heavy snow pack on the valley floor. Elk will eventually leave the National Elk Refuge, and expect Wolves to follow them. When the migration begins, you can often see more wildlife in a single day than any other month of the year. Moose are often in the river bottoms at this time of the year, but many are moving back to the sage flats. Hawks, Eagles, Falcons, and Kestrels have been spotted in March. Songbirds are also beginning to move through the valley. Bohemian Waxwings have been stripping the berry trees in town. I would expect April to be very active this year. Other Wildlife for Early April: I didn’t see as many Mountain Goats in the Snake River Canyon this year as in other years, but that may have been a result of the heavy snow pack. Still, I would expect to see a few through the middle of April. 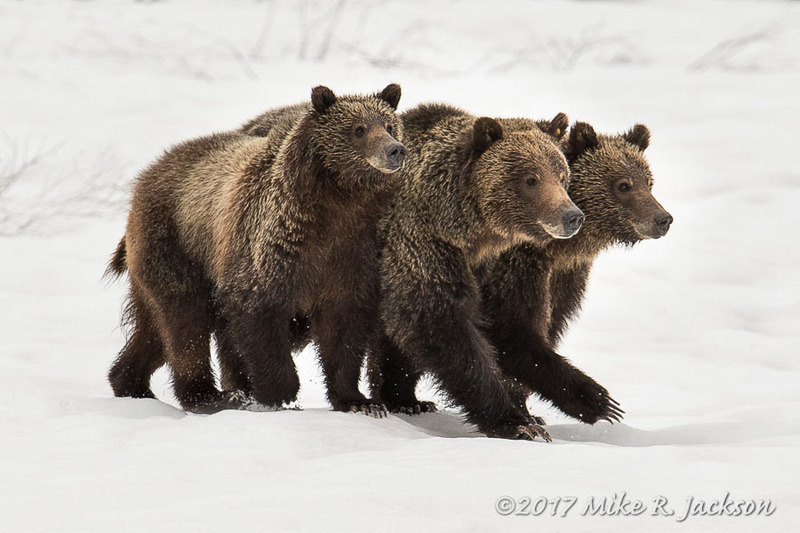 April is also a good month to see Grizzlies in Grand Teton National Park. Watch for Foxes, Marmonts, and Badgers. Trumpeter Swans will be leaving the valley at some point. Other birds, like White-faced Ibis might be seen for a day or two before they move on north. The Bison I photographed with frosted faces last month are still around, but are seldom next to the steam now. Continue reading "April 2019 Daily Journal for GTNP & JH"